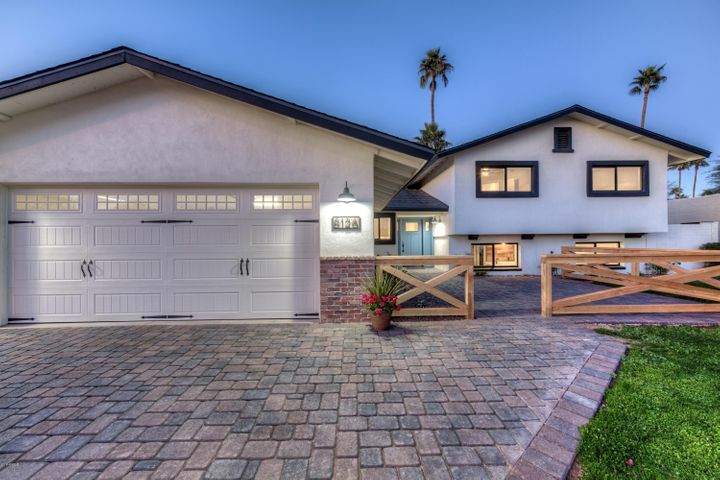 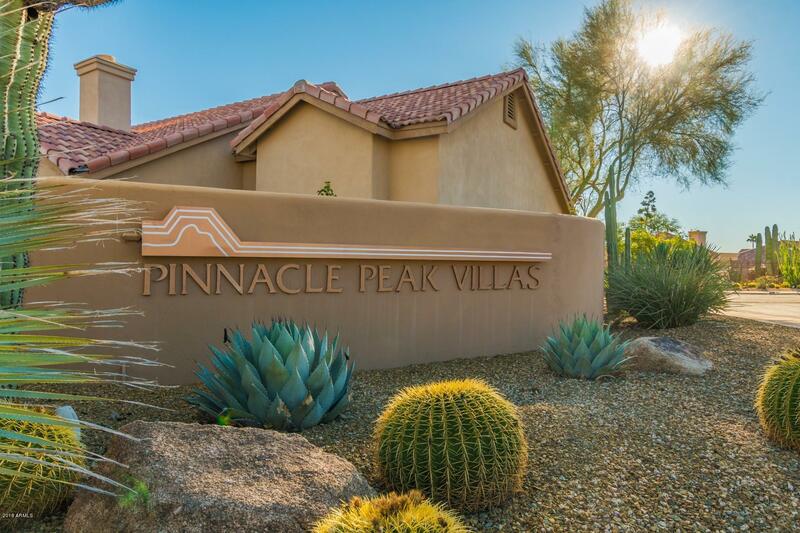 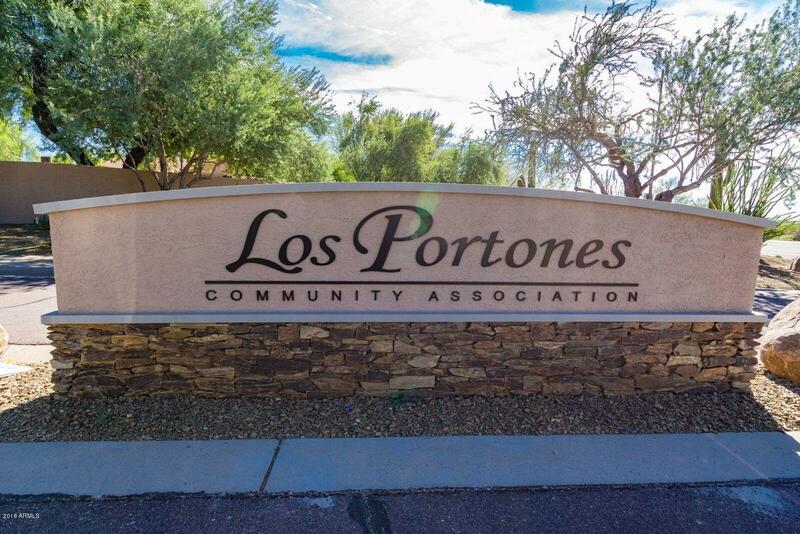 ENVIABLY LOCATED ON AN INTERIOR LOT WITHIN THE SOUGHT-AFTER GATED LOS PORTONES MASTER-PLANNED COMMUNITY THIS PINNACLE PEAK VILLAS RETREAT was the FORMER MODEL for custom homebuilder LEGENDARY HOMES. 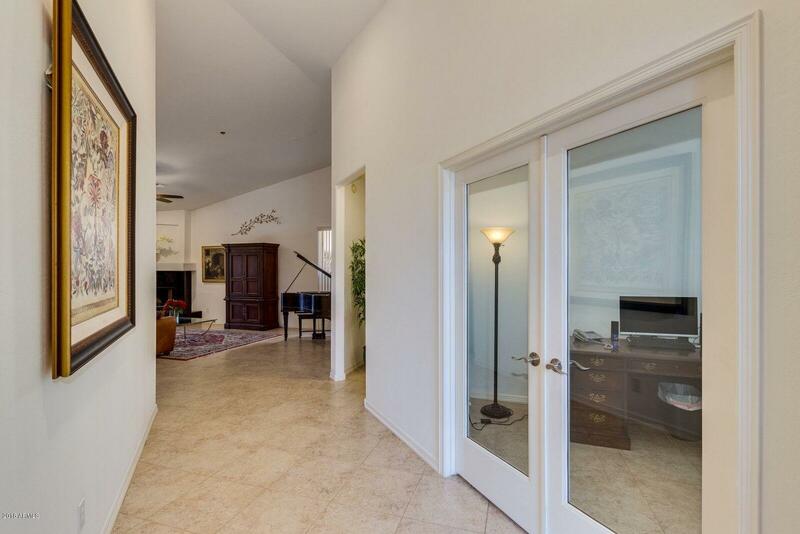 Soaring vaulted ceilings enhance drama upon entry into wide foyer leading to open great room boasting granite-faced fireplace focal point and 18x18 diagonal stonelook Italian tile extending t/o. 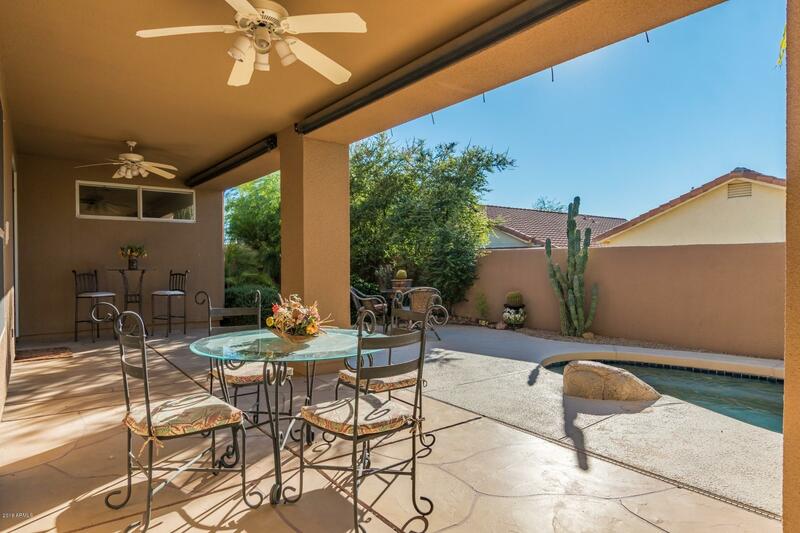 Expansive windows create a light, bright, airy ambience, overlooking expanded patio and desertscaped backyard, complete with pebble-surface pool with waterfall. 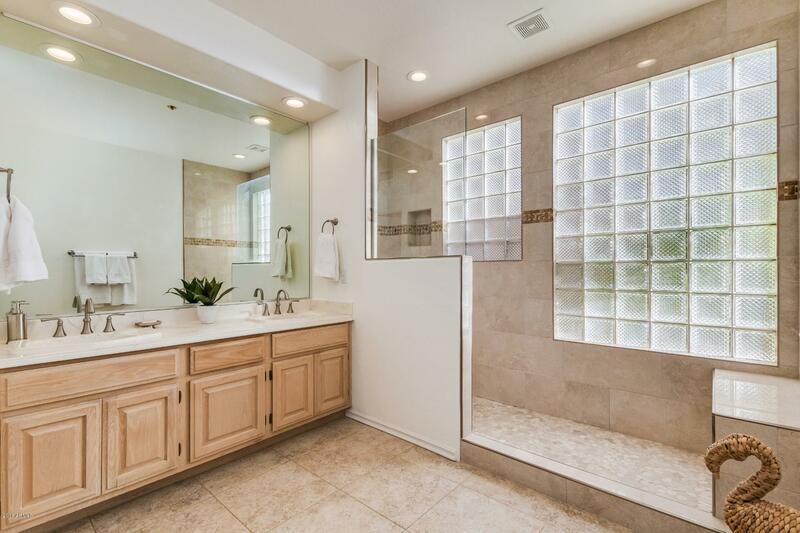 Updating includes new master shower ('17) and brushed nickel hardware, fixtures & finishes t/o. 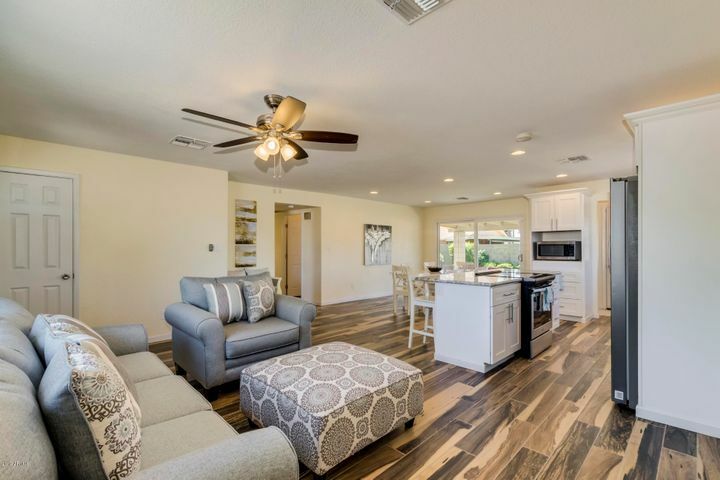 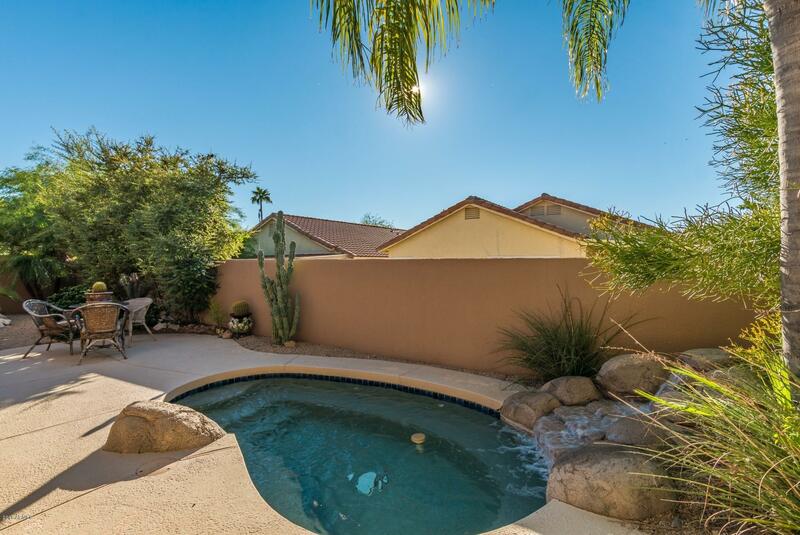 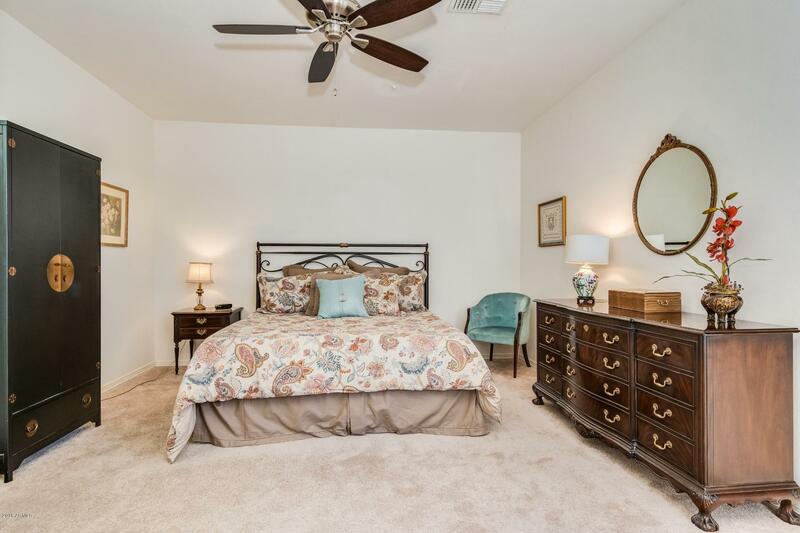 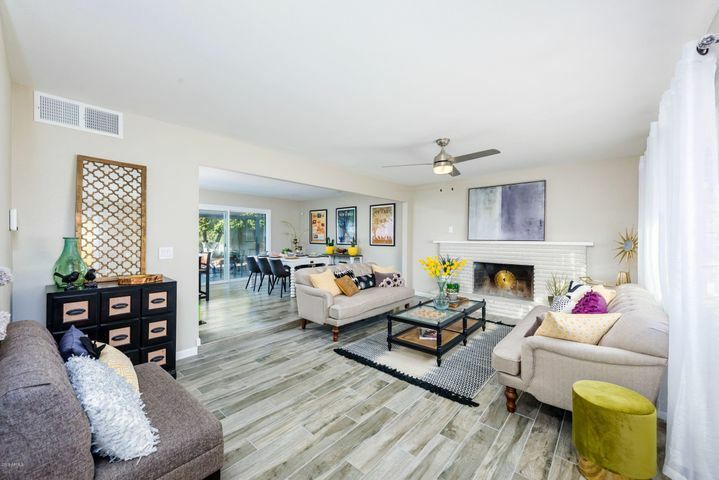 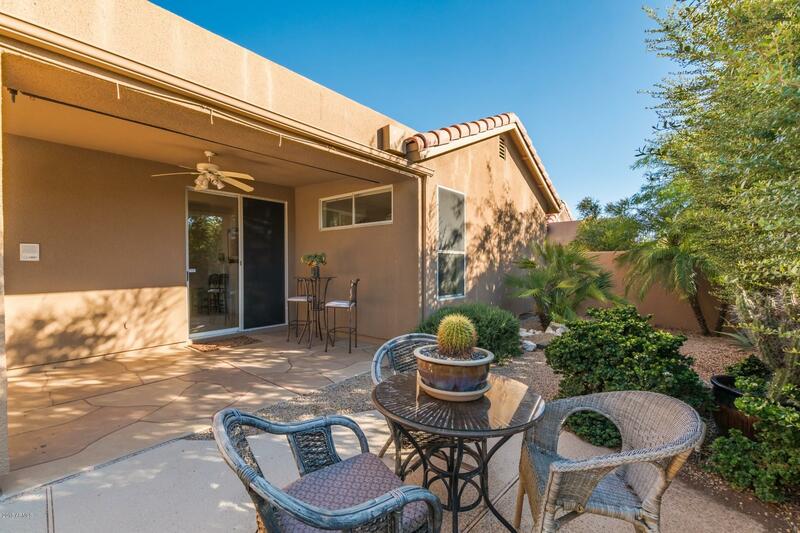 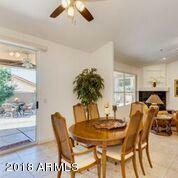 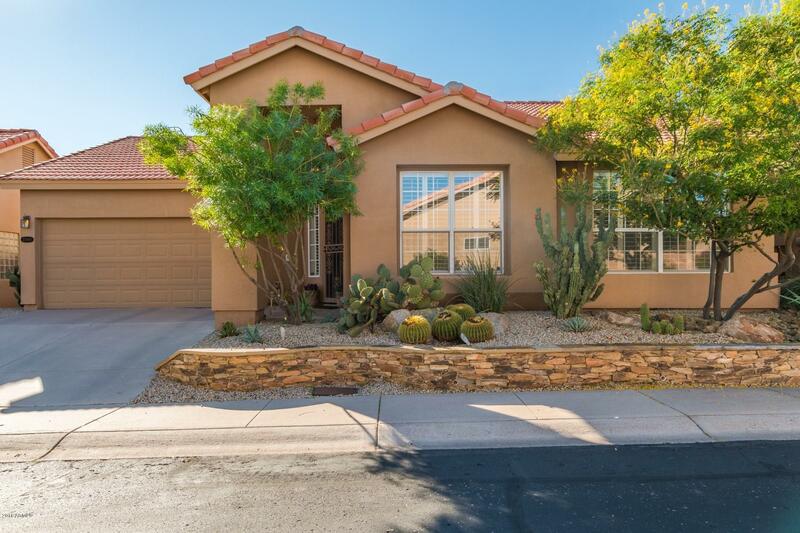 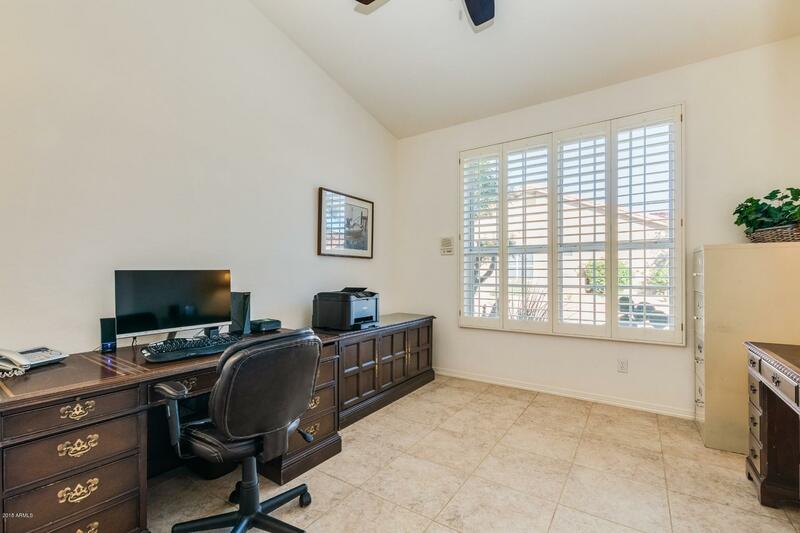 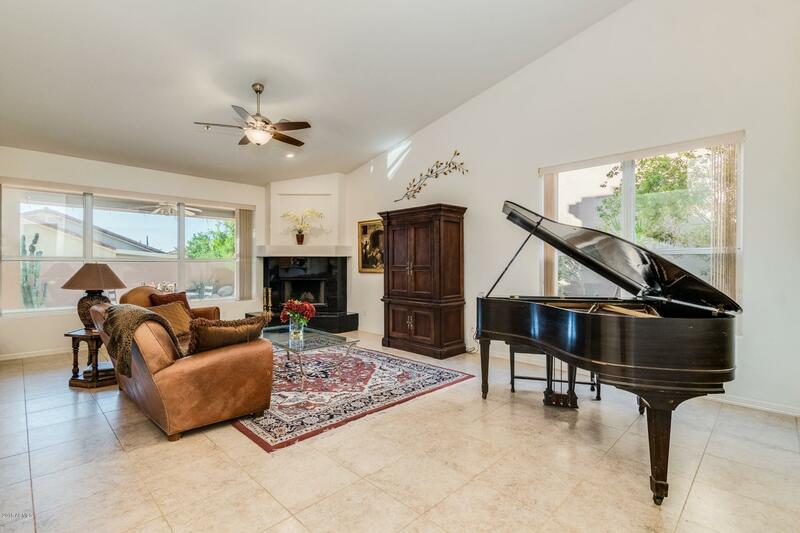 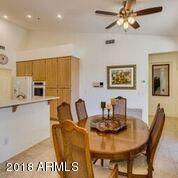 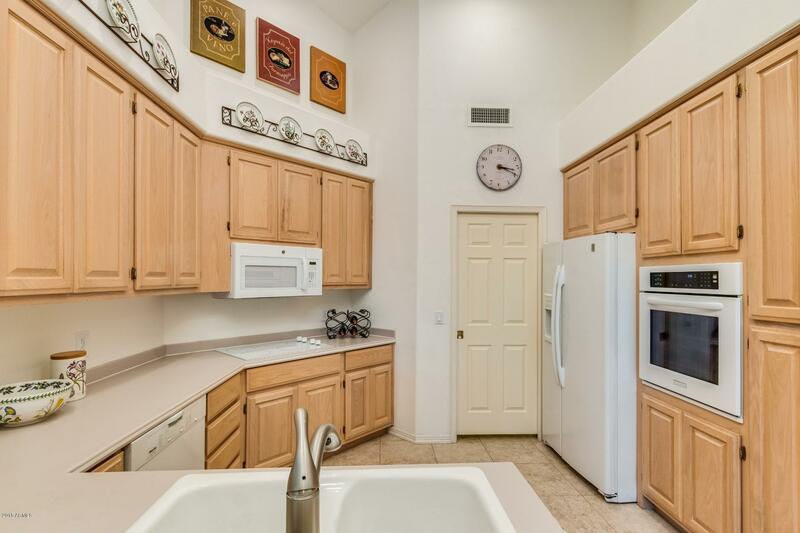 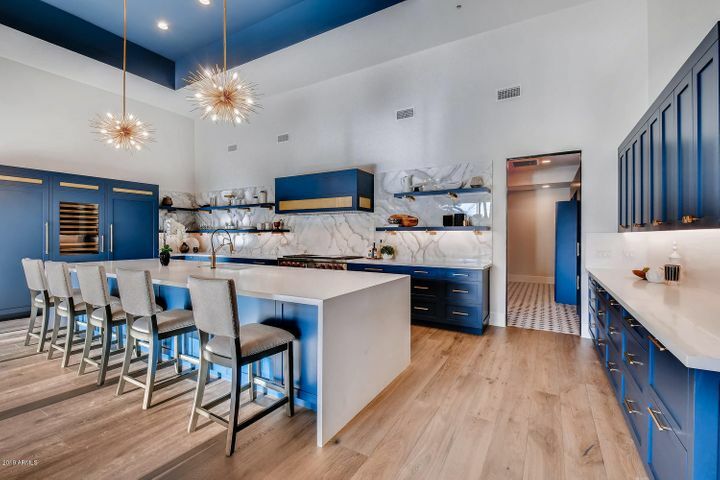 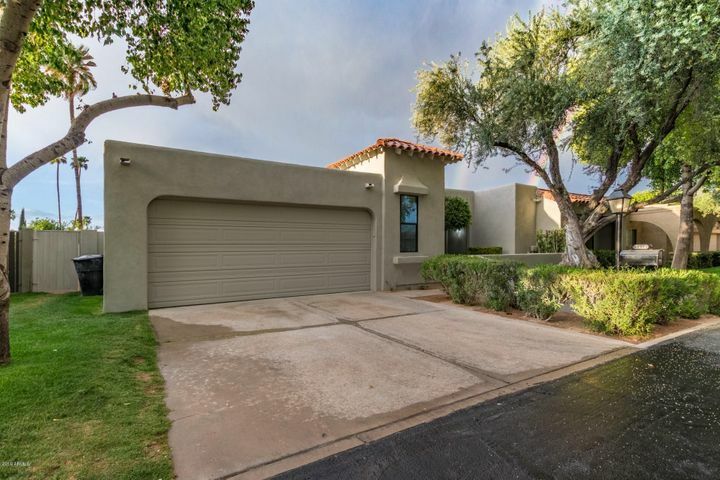 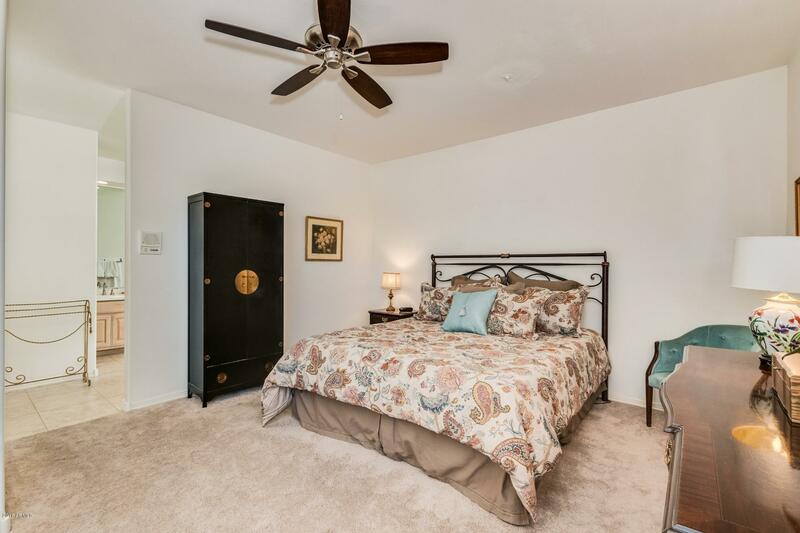 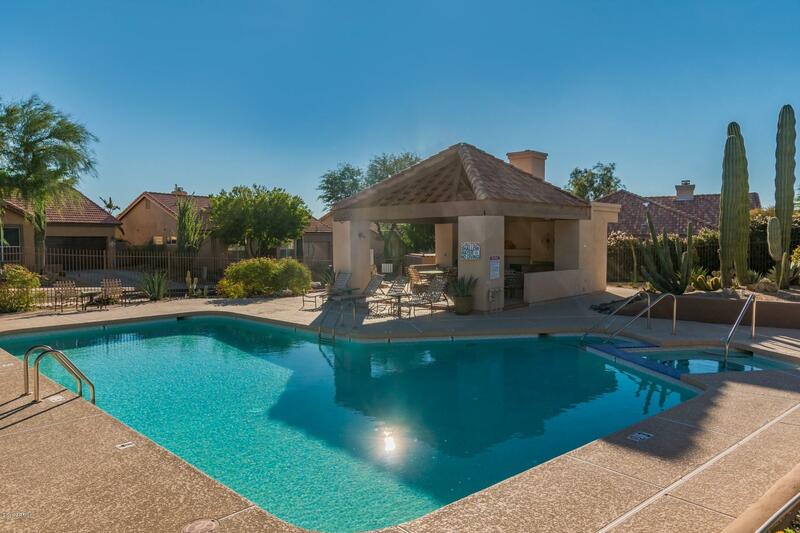 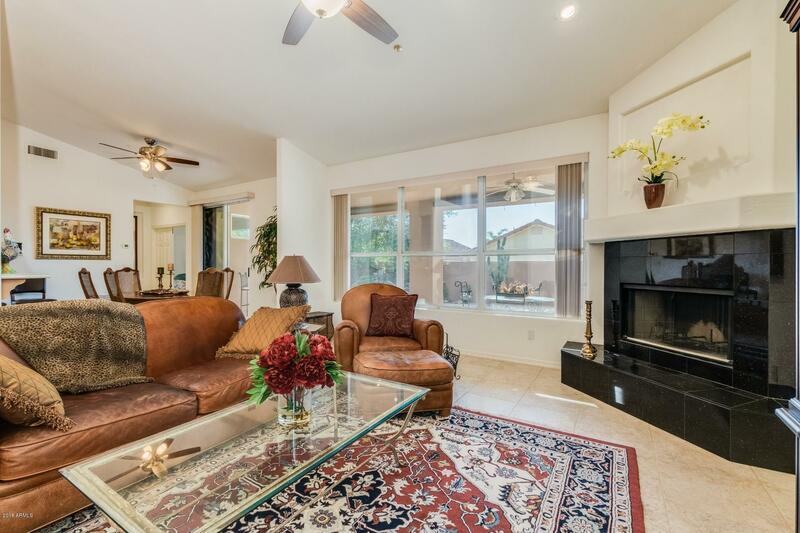 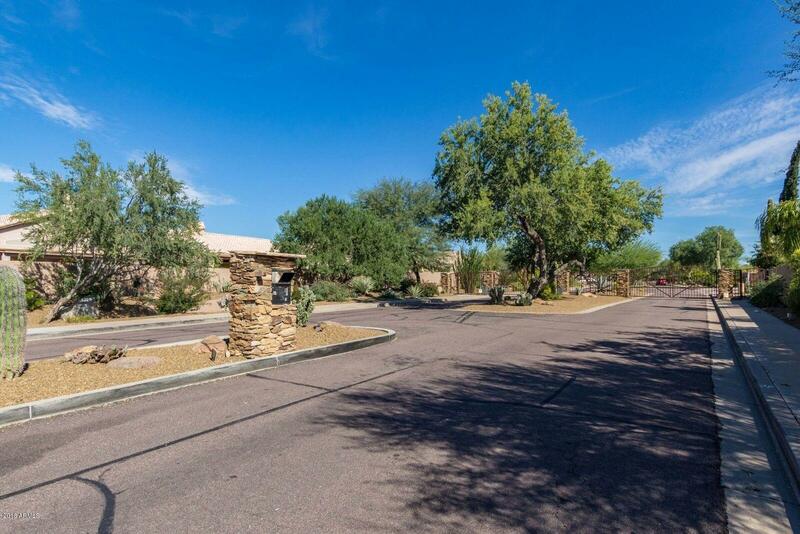 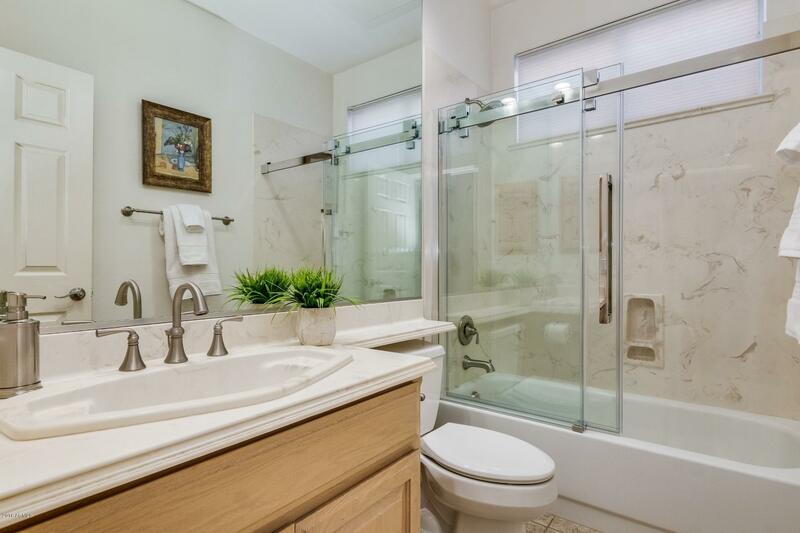 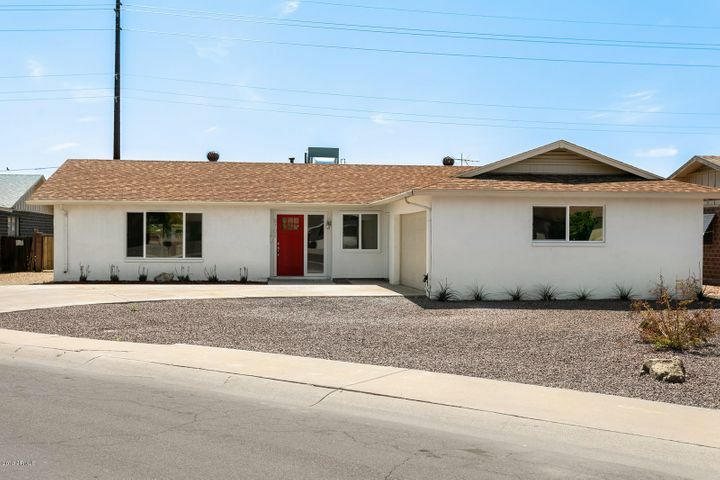 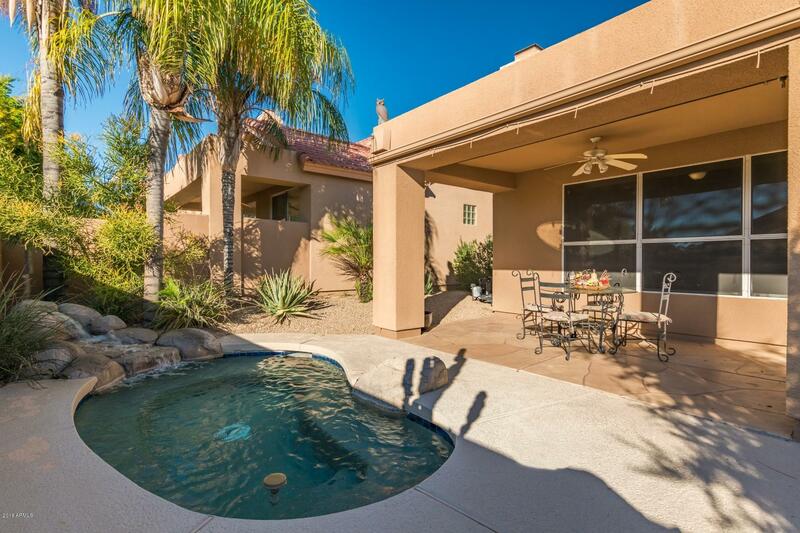 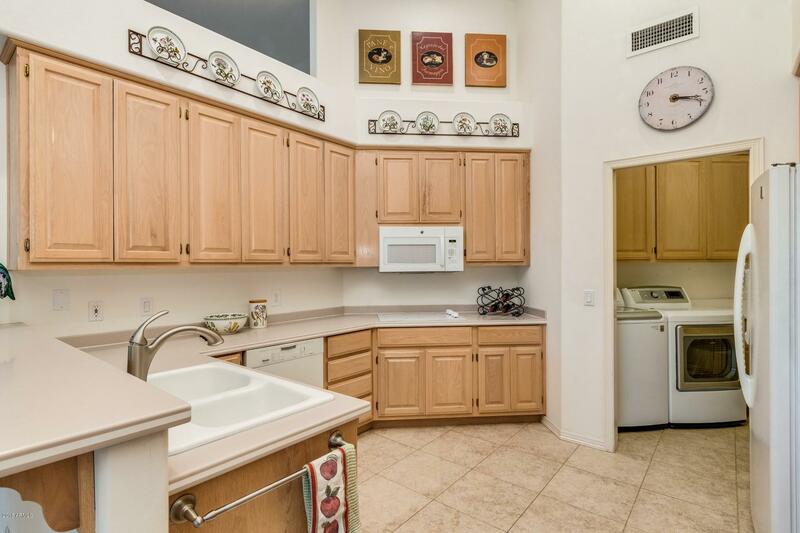 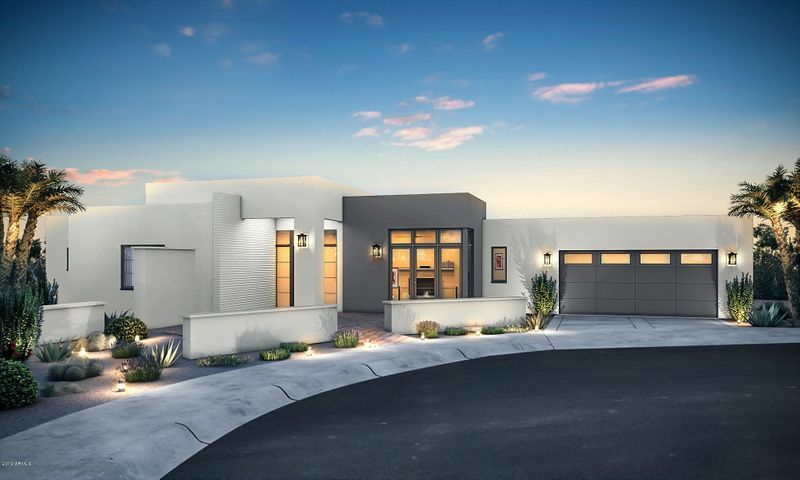 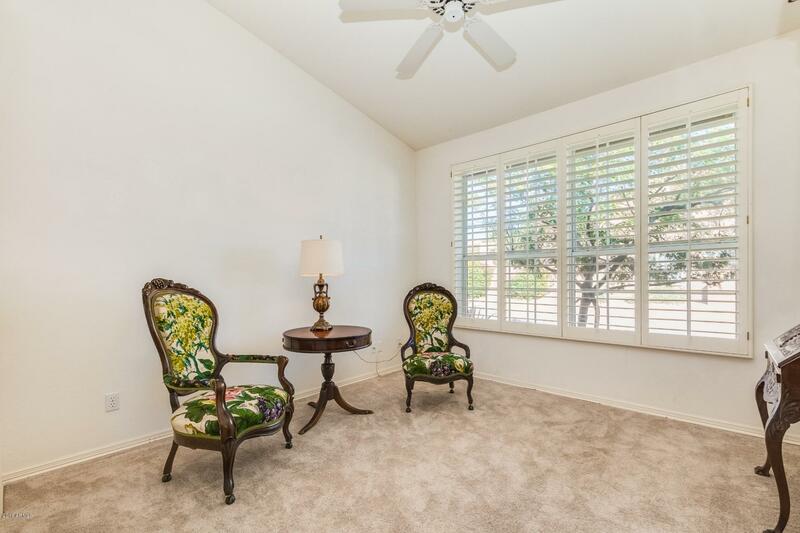 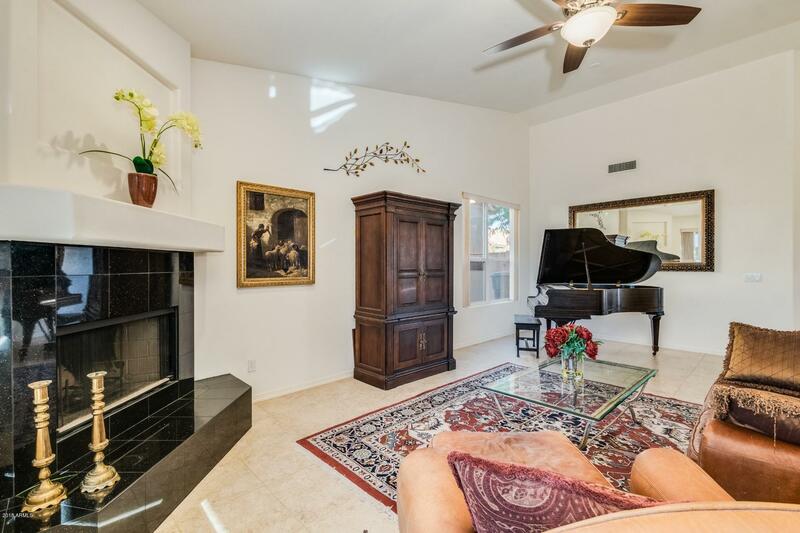 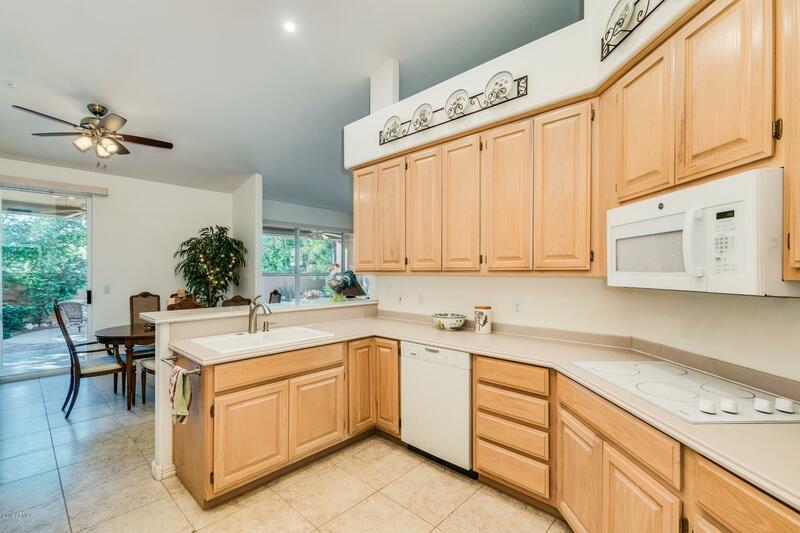 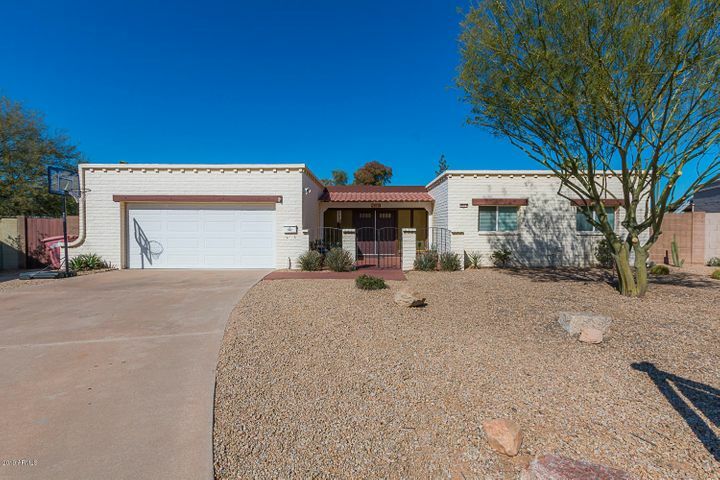 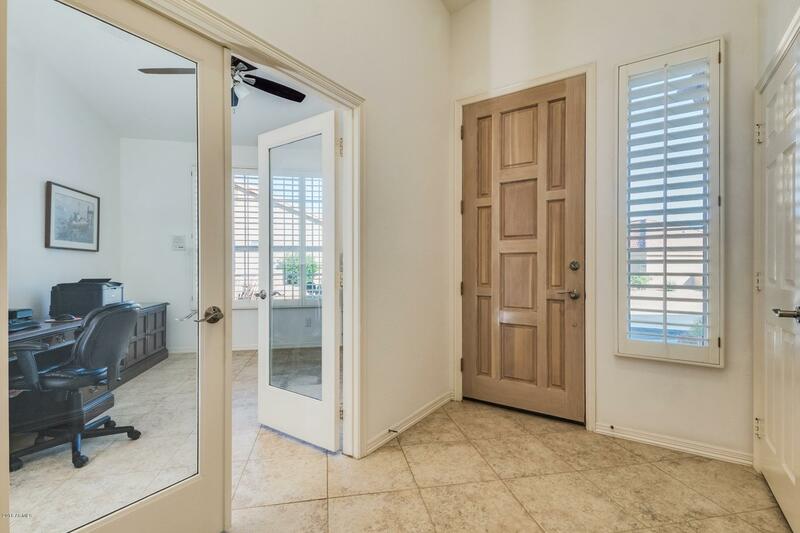 WITH GREAT N. SCOTTSDALE AMENITIES & EASY FREEWAY ACCESS, THIS LOVELY VILLA IS IDEAL AS CAREFREE LOCK & LEAVE OR LOW-MAINTENANCE PRIMARY RESIDENCE. 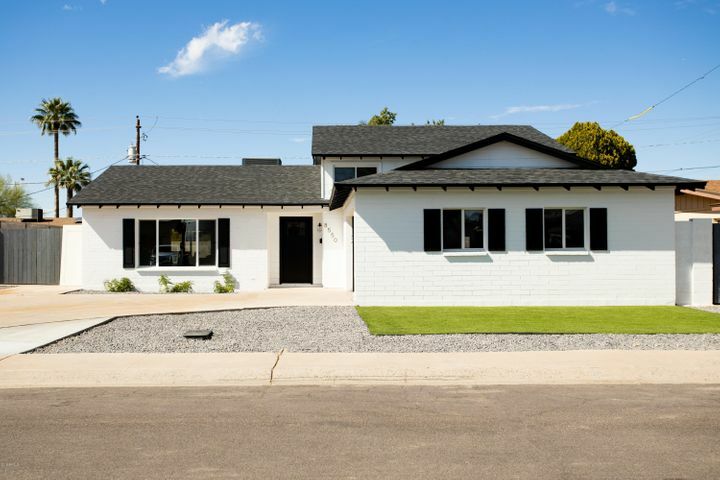 HOA2 Prp Man Co Name: Cornerstone Props.